As consumers, many people are constantly looking for ways to reduce their environmental "footprint" – recycling, reusing, repurposing – in an effort to help better the environment. There is also an upward trend in homeowners planting a garden to reduce environmental impacts from chemical applications and minimize chemical residues on produce. Therefore, it makes sense people have come up with incredibly ingenious ideas to repurpose common items into useful garden hacks. 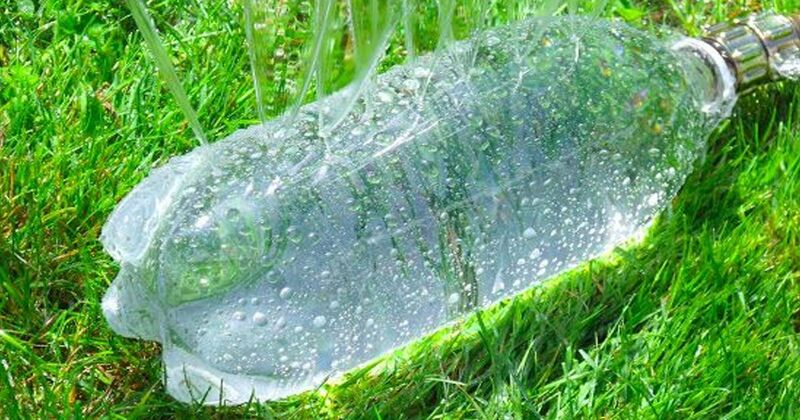 These nine awesome ideas reuse plastic bottles creatively in the garden, saving them from being thrown away or sent away to be recycled. Tender plants, seedlings especially, benefit from being grown inside clear plastic bottles. 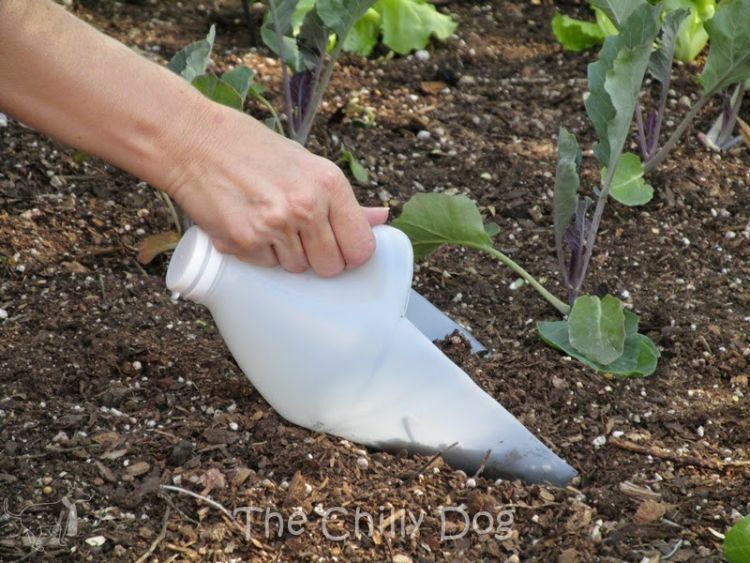 Cut off the bottom of a clean bottle and place the top half over the plant, pushing it down into the soil. This mini greenhouse will help protect the plant from frost, rain and wind. 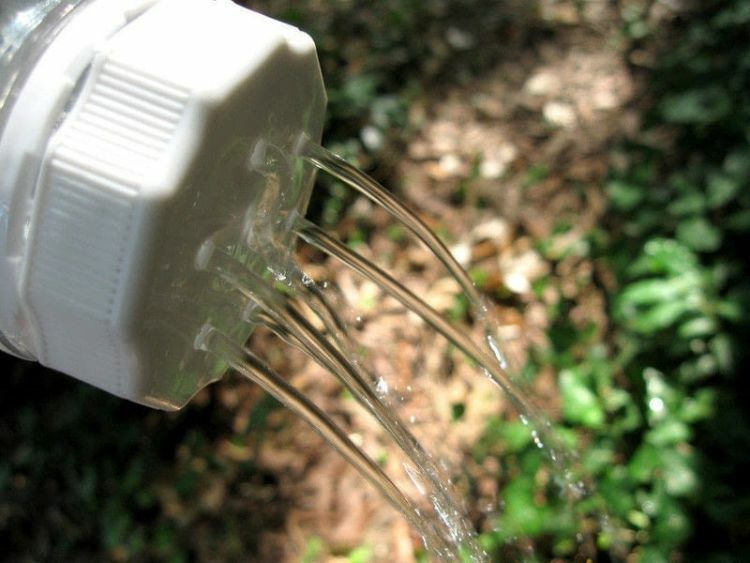 You don't have to install fancy, expensive irrigation system to self-water garden plants. Drill/poke holes in the sides of a large, clean plastic bottle and bury it next to a plant so the neck is slightly above the soil surface. Fill with water as needed. There's no need to buy a watering can if you have a spare juice bottle. Clean it out well and, using a small drill bit, drill holes in the cap. 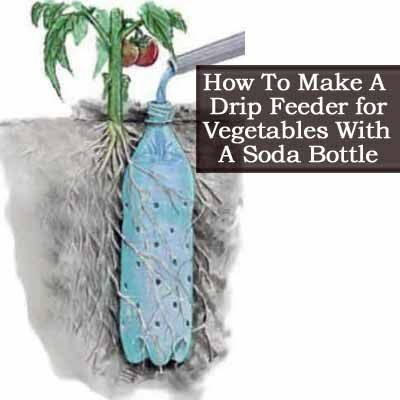 Fill the bottle with water, screw the cap back on and you have a DIY watering can. 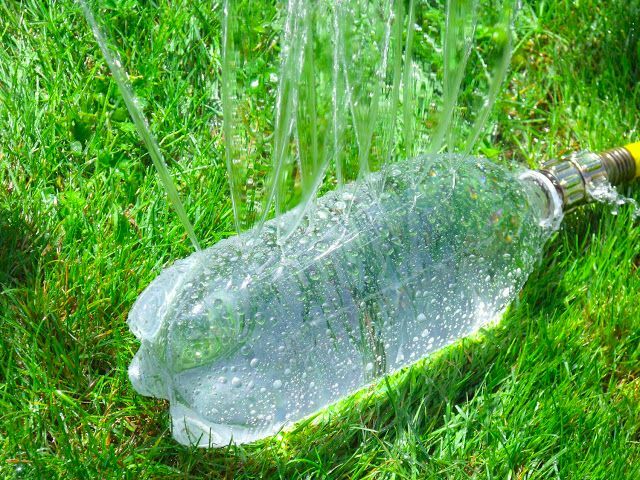 Poke or drill holes in one side of an empty, clean 2-liter plastic bottle to create a yard and garden sprinkler. Add a female hose end, a female swivel adapter and hose washers to connect it directly to the garden hose. 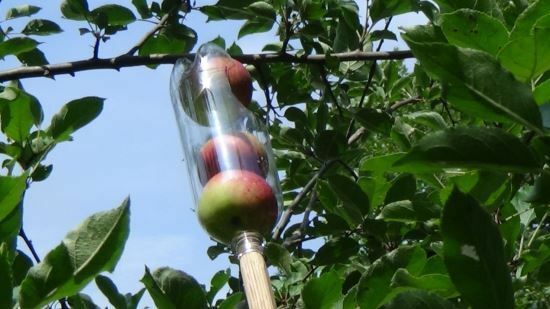 Picking high limbs on fruit trees just got incredibly easier with this plastic bottle hack. 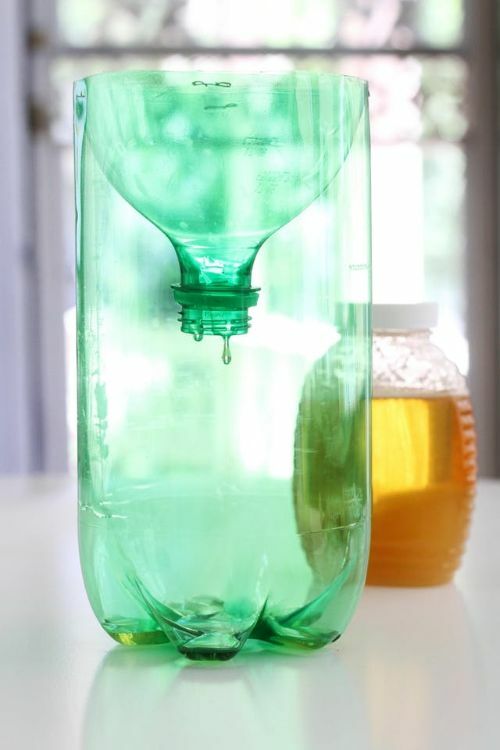 Cut a hole on the side at the bottom of a 2-liter bottle and add a handle to the neck of the bottle. Slip the fruit into the hole, pull down and watch as peaches, pears and apples drop safely into the bottle. Some sources, such as State-By-State Gardening, encourage gardeners to let wasps freely fly around the garden to ward off other pests and increase pollination. But if you'd rather not tempt fate and end up stung, it's easy to fashion a DIY wasp trap out of a plastic bottle using a utility knife and a stapler. The wasps enter to get to the solution but struggle to get back out. Gardening can be simplified with something as straightforward as a garden scoop. Use it to dig planting holes or distribute mulch around plants. Take a vinegar bottle, detergent bottle or other rigid plastic bottle and carefully cut off the bottom/sides to create a scoop. Garden containers can get really heavy if rocks/pebbles are put at the bottom of the pot to encourage drainage. To keep containers lighter, making them easier to move, fill the bottom of the pot with clean, empty plastic bottles (with the caps on), and add potting soil to the desired height. Gardening Know How recommends using plastics marked with a 1, 2, 4 or 5 for safety. 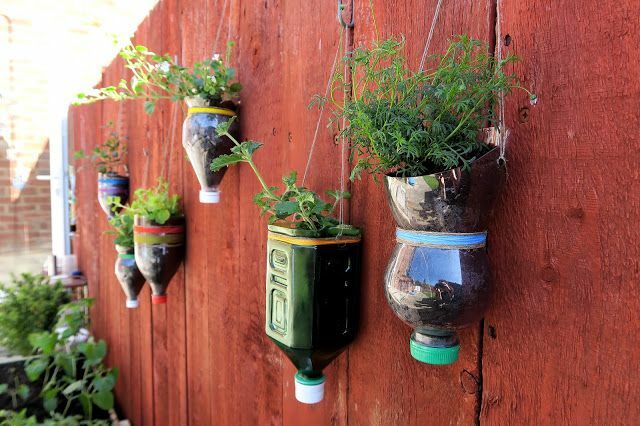 Create an eclectic hanging garden by upcycling plastic bottles to use as planters. Remove the bottoms with a sharp utility knife. Decorate with thread, punch holes to use for hanging and fill with your favorite plants. These efficient and simple ideas reduce plastic waste while benefiting the garden. 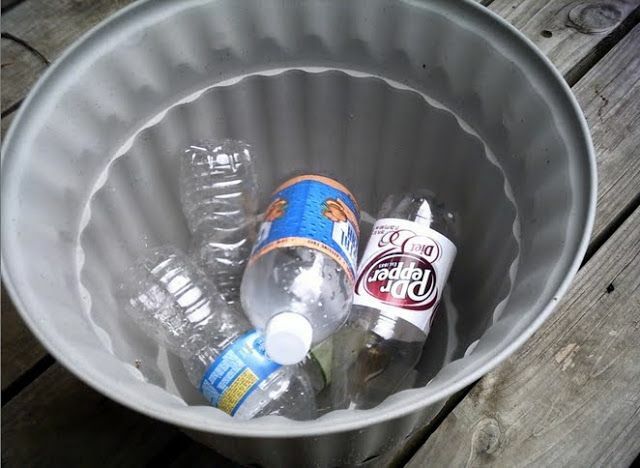 Take an empty plastic bottle or two and get crafty, making something useful for your outdoor space! Share this article on Facebook to pass the ideas along.